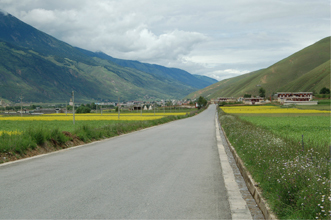 The Sichuan -- Tibet Highway is the longest road, which further divided into the Northern and Southern Route. 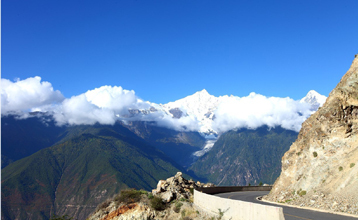 Yunnan - Tibet Highway spans 800 kilometers to reach Markham, a less beaten track by travelers. 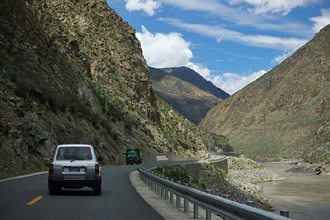 Qinghai-Tibet Highway starts from Golmud of Qinghai, which is 1115km journey. 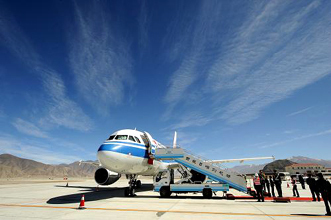 The start point Golmud (3200m), the drab little Chinese town where the journey begins, is approached by rail or bus or even plane from Xining (capital of Qinghai Province) or by bus from Dunhuang. 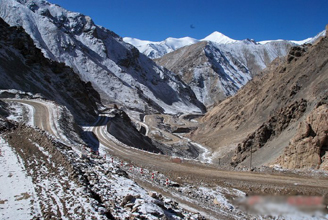 Xinjiang - Tibet Highway starts from Kashgar in Xinjiang. It runs 1550 kilometers, winding its way among fives mountains soaring more than 5000 meters (16400 feet) high above the sea level. For these traveling from Nepal overland to Tibet, the Friendship Highway from Kathmandu - Lhasa is the one they are driving on. The journey is without doubt one of the most spectacular in the world. 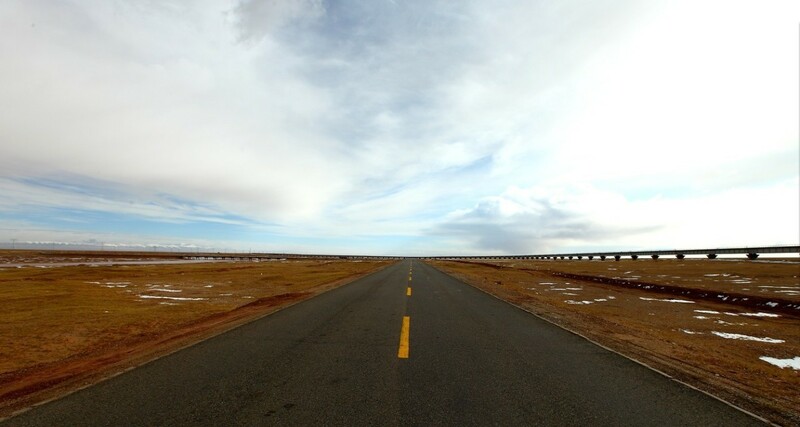 The Qinghai - Tibet Railway has already been open to traffic since July, 2006, and offers another experience of getting to Tibet. 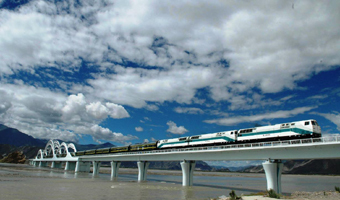 Such cities of Xining, Lanzhou, Chengdu, Beijing, Shanghai, Chongqing and Guangzhou have direct train going to Tibet.